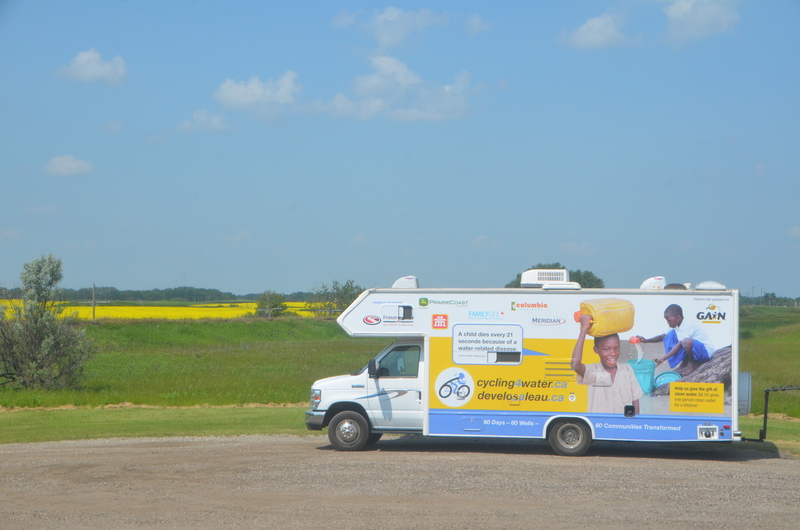 Our start today was at 7 am after a wonderful breakfast by our hosts in Whitewood, SK. They even packed us a lunch to take along! 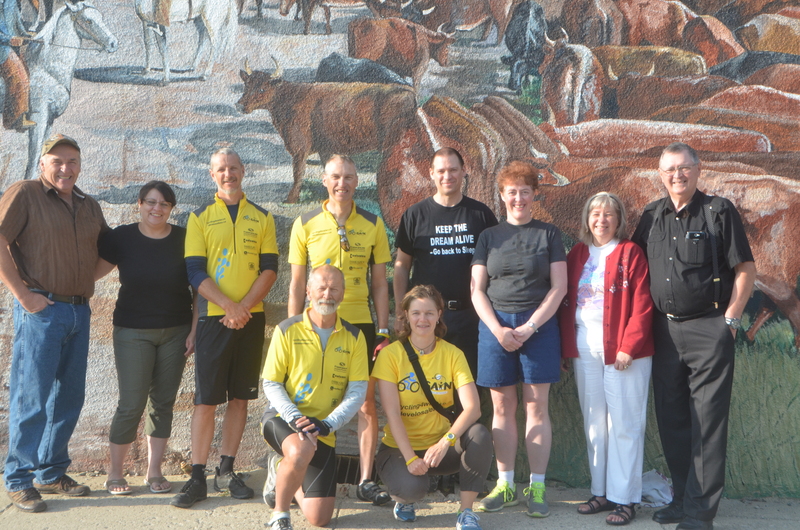 This photo shows our wonderful hosts in front of a mural depicting the history of the town. 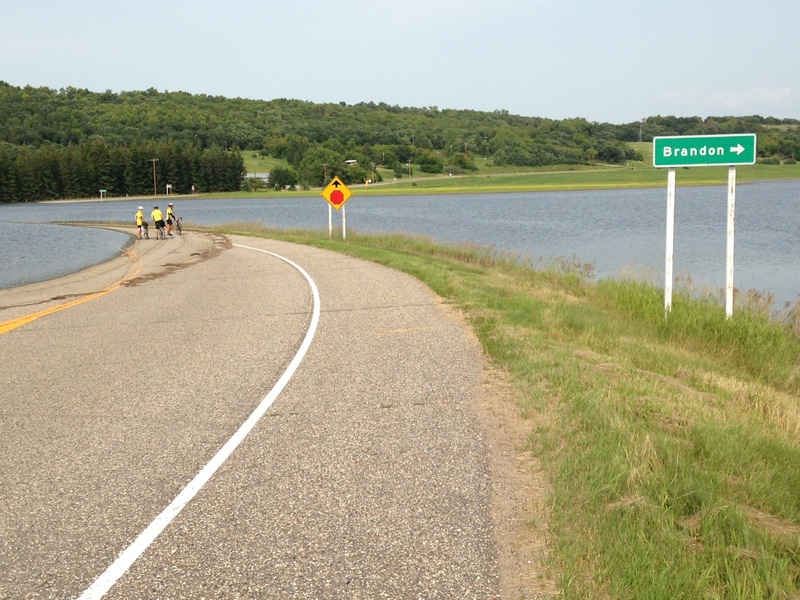 Our cycling was from Whitewood, SK to Brandon, Mn. 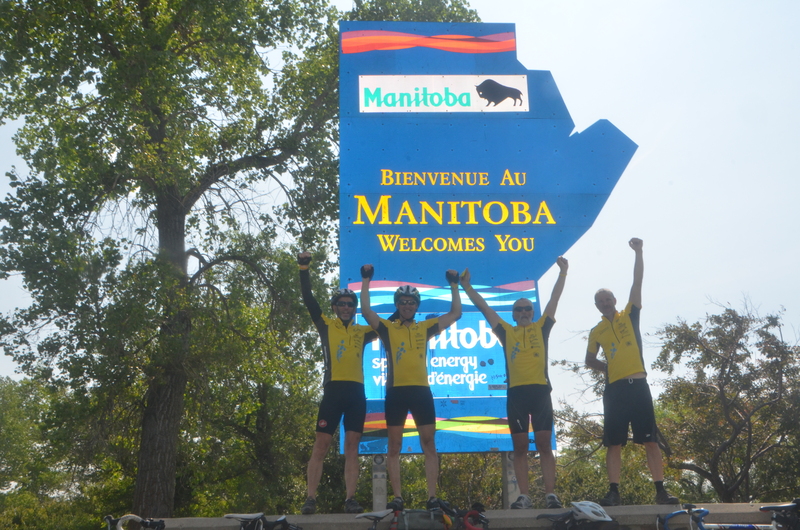 So we crossed into our third province, Manitoba. A 198 km day. We have been dealing with the aggressive “Road Gators”, the elusive “Prairie Snake” and very dangerous “Canola Scorpion” but we have been successful in staying out of harms way with these deadly predators!! We did see of the effects of the flooding in the Brandon area. Water does transform communities for good or bad. Clean water will give life to the 60 communities we are seeking to help. MP Larry Maguire was not able to connect with us but his assistant stopped by to express his best wishes for success and also gave us a donation! Thank you Larry McGuire! Tonight is the second night off since we left home.So good to have the early bed time. Off to Winnipeg tomorrow.